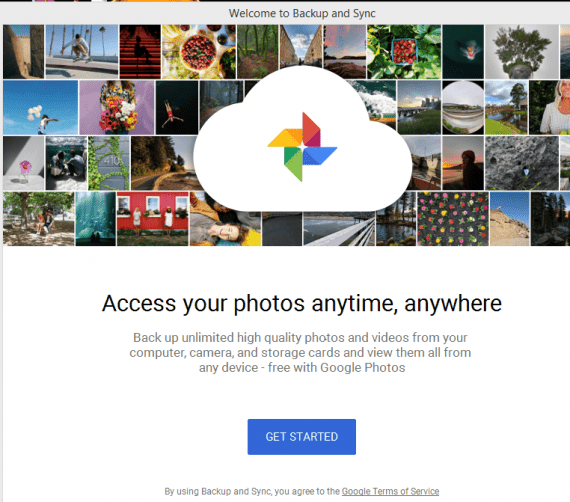 Google photos desktop uploader offers an easy way to backup photos to Google photo storage directly from your desktop to the cloud for free. This serves as an avenue to free more space on Android and iOS device and also save your photos for future use in case you lost or misplaced your phone. With the Google photos desktop uploader, you can upload unlimited photos to Google photo storage by connecting your phone or camera to your computer and start uploading. For Android and iOS device, the Google photo uploader app for iOS and Android to auto-sync your photos to Google photo storage and upload all photos automatically. With the auto-sync, you will be able to upload all pictures you have on your phone as soon as you hit the shot button and connect to the internet. How Long Does Google Photos Desktop Uploader Take? To start with, you need to download the desktop application to copy all your photos from your Android or iOS to Google photos cloud storage. You need an internet connection to complete the desktop software installation. The installation file is an online executable file which only downloads bytes from the internet and complete download during installation. After successful installation for the first time, you should the screen below on your Windows or Mac OS to start with. And if you already have the software installed on your computer you should skip this step except you need to update your photos uploader software to the latest iteration. Next, you need to connect your smartphone to your PC using a working USB cable. Sometimes, you find it difficult to upload photos from your phone to Google photo storage using your USB due to poor USB. For this, you must use a USB that will pop up notification for you to choose between file storage, charging only or debugging mode. If PC doesn’t recognize your phone or your phone only show charging without showing on your PC or popping up options to select what to do with the USB connection just do the following. On your Android device open Settings and go to Storage. Tap the more icon in the top right corner and choose USB computer connection. From the list of options select Media device (MTP). Connect your Android device to your computer, and it should be recognized. This should solve the problem once and for all. If this doesn’t solve the USB problem then you should get a working USB from a sales shop. It only takes 3 steps to backup your photos from either your computer or your phone to Google photo storage. Click on Get Started on the photos uploaded software and sign into your Gmail account with the Gmail account associated with your phone. If you want to use different Gmail account read how to remove Gmail from Android. Hang on while Google photo app takes you to Set Up interface. On this page, you have an option to backup photos and videos only, or back up all file types where you will back up your device completely and then click on next. Meanwhile, in this case, and since we are interested in photos backup, select the first option that says backup photos and videos. Now, if you have your smartphone connected you will be asked to select the storage directory. But, for the case of a computer to Google photos storage, tick the files and folder to back up to Google cloud and click on start button. Note: For a smartphone, clicks on Choose Folder and select the Photos Directory on your device before you begin the backup process. For the Advanced use, you can upload directly to Google drive by click on Advanced to the bottom left, click on Sync my drive to this computer and click on OK and then go ahead to start the backup process. The time taken to upload photos from your smartphone or computer to Google cloud depends on the volume of the files to back up. It may take forever to upload a 1GigaByte worth of files from your phone or computer to Google photos storage using the uploader if you have a very poor WiFi or data network connection. Have you ever use the Google Photos Desktop Uploader software to backup your computer videos and photos or smartphone photos to the cloud? What is your experience?